One of the nice things about drawing and painting is that I can dream whatever I want and put it down on canvas or paper! 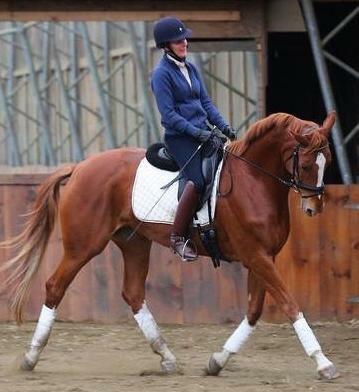 My horse, Kate, and I have been traveling the path to upper level dressage since we met four and a half years ago. She was just a wide-eyed three year old, and I was an aging adult amateur dressage rider with a big dream. It’s a long, slow process (hence the sense of urgency from my 50-something year old brain!). Basically, you hope to move up a level a year and there are nine levels. Kate and I are working on stuff in the 5th and 6th levels, so we’re right on track. In this drawing she’s showing the collection of a horse in at least the seventh level, which is well into the international standard of competition. So I dream it. All of the time. And I draw it so I can see what it will look like when we get there.